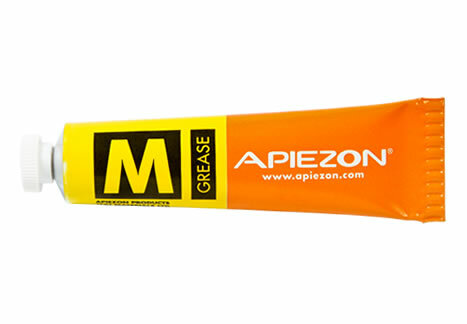 Apiezon M grease is the undisputed king of general use! If you take a look at our grease comparison table (comparison table) you’ll see that it possesses a reasonable operating temperature range, a reasonable vapour pressure, and a reasonable lubricity. Some would assume that this everyman grease would pale next to the cryogenic N grease or the ultra-high vacuum L grease ………..but they would be wrong! It is the inherent versatility of M grease that has established it as the go-to grease for a whole host of vacuum (and indeed non-vacuum) applications including industrial damping, positive pressure gasket sealing, nanoparticle mixing and the French Atomic Agency (CEA) Megajoule Laser Project. Why is this? Well, the beauty of material science is that in many instances a material’s properties can provide unexpected benefits e.g. the low dropping point was a distinct advantage in the nanoparticle application by reducing the time and energy required for the particle mixing process. Similarly the lack of additives in M grease give it a sticky feel (technical term) which coupled with its resistance to radiation make it an ideal candidate for XRD metal hydride measurement applications.